Working on my embroidery last weekend, I wanted to fill a shape with little nubbins of stitch, but didn’t want to use french knots—a bit too small. 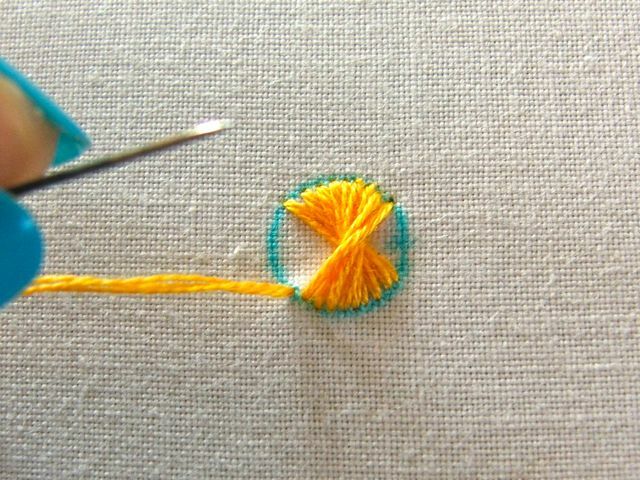 I started working the circles in satin stitch, but found that not only were they disappointingly flat (I could have padded, I know), but the horizontal tension squeezed the circle, making it a bit oval or egg shaped. Not a big deal, of course, but at some point I started to play with my stitching, to see if I could come up with something better. I thought of something I’d used a few months back: Rhodes stitch. This square-shaped filling stitch has a raised center, a little like a faceted stud, and is rarely used in crewel embroidery because it is described as a needlepoint and counted-thread stitch…for working on canvas or similar meshy fabrics. Don’t see why one can’t freehand a canvaswork stitch onto finer fabric—they’re essentially the same thing, after all, so I went crazy and used Rhodes stitch along with satin stitch to fill this part of the same embroidery, pictured above. 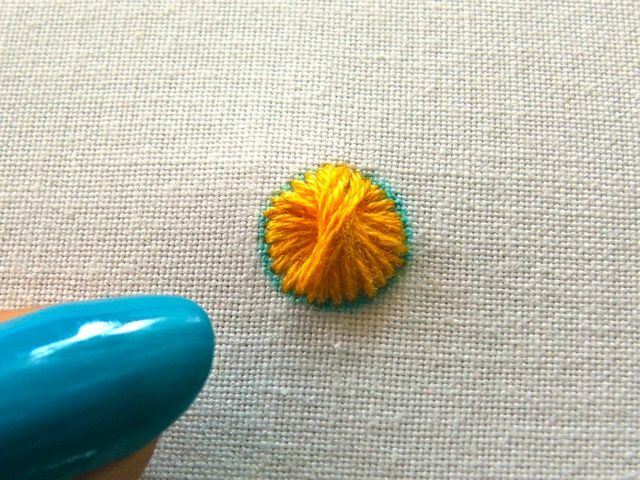 I reasoned that I could use the same technique to work circular studs, so I started doing that on my embroidery. And holy crap, I love the results! 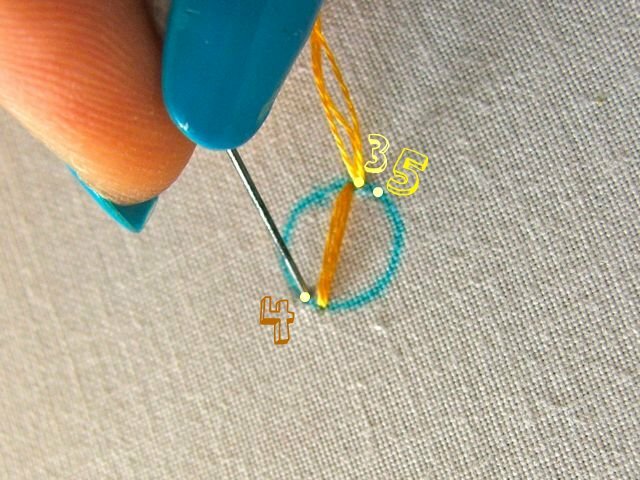 Because the stitches rotate around the shape, the tension pulls the circumference in evenly, keeping the circle shape very nicely. But what I love most of all about this adapted rhodes stitch is the way it forms a raised center in the circle, making a really pronounced little nubbin, very much like a split pea or lentil. So I’ve decided to call my little “discovery” Lentil Stitch…at least until somebody *gently, gently! I’m attached to it, you know…* points out to me that this is a common and widespread stitch, and that it’s name is ________. 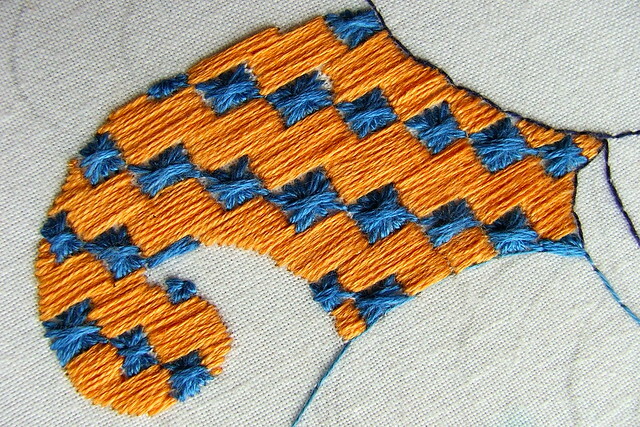 If you know this stitch, please tell me what it’s called and where you’ve seen it. UPDATE: You knew this was coming, didn’t you? Looking back I realize how silly it would be for such a simple and obvious stitch not to exist. Hahaha, a right and silly goose, I am. 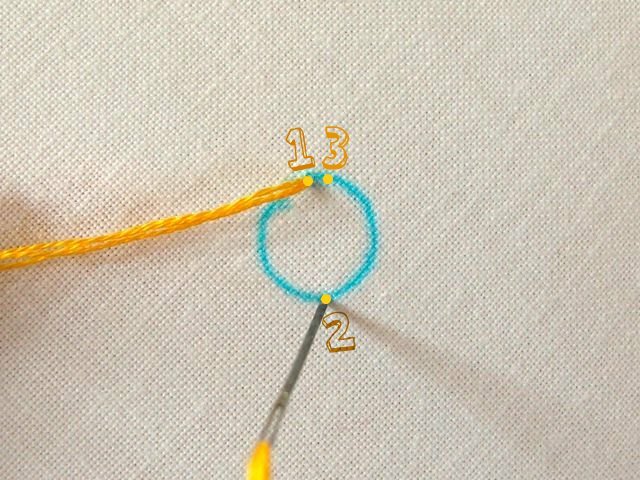 Julie THompson, over on Stitchin’ Fingers, has very gently and…almost motherly…informed me that this is called the Circular Rhodes Stitch (duh, someone didn’t do a proper search of the internet before she claimed discovery!) and it is worked on plain fabric, not canvas. 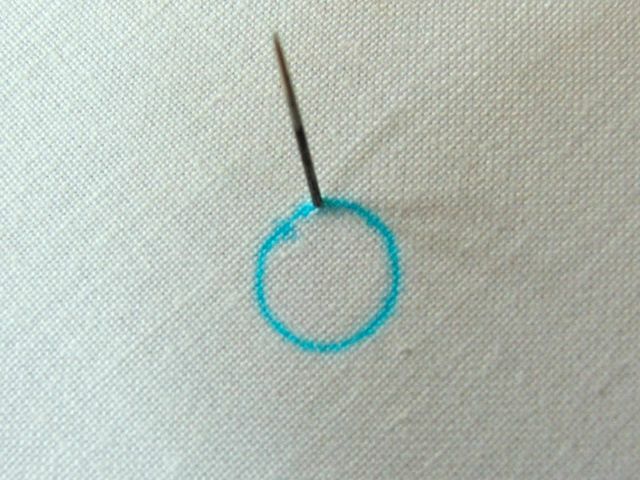 < Embroidery : : keep it clean! Great work by any name! 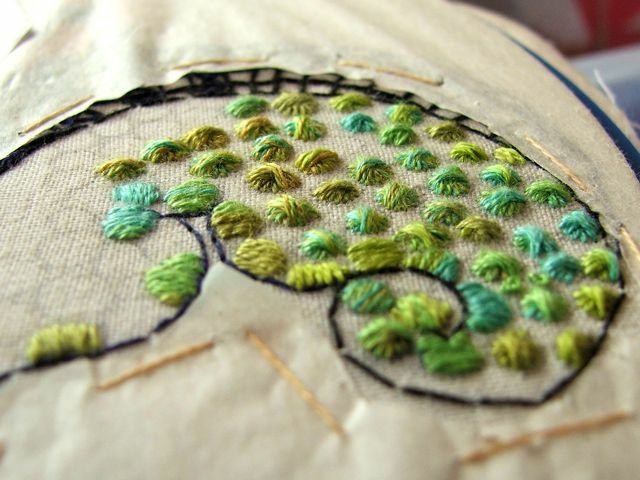 pretty cool stitch! Thanks for sharing it. I am a new follower and would love for you to visit me too @ http://www.mommiesandbeyond. com Thanks! You’re welcome! A bit embarrassed that I claimed discovery, though all has been set straight at last. Good luck with the blog! Cheers, N.
No, Mary Rhodes (she says gently…and with a smile). But I like Lentil Stitch better too, even though I believe in giving credit where credit is due. Many embroidery stitches have more than one name, so why not choose your own?. I shall always think of small Circular Rhodes Stitch as Lentil Stitch! Oh, I get hungry….tomorrow I will cook lentils, they take just about 10 minutes in Germany, to get cooked. But in earnest – this lentil stitch is so wonderful that I will at once start to try it. I propose “small forest lentil stitch” as a name. What a nice “how-to” post!!! 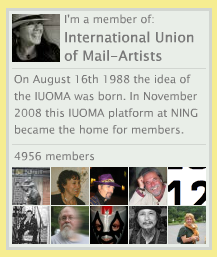 LOL You’re going to get me in the trouble with the Proper and Very Honourable Traditional Embroiderer’s Guild! Making lentil soup is easier. Tiny piece of onion, 1/2 chopped carrot, 1/2 cup spinach 1/8 teasp salt. Lentils soaked overnight. Cook in beef broth , simmer 1 hour.Sometimes add 1 cup ouzo macaroni, cooked, added just before serving.